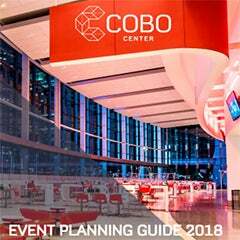 DETROIT – Cobo Center took in $25 million in total revenue in the 2014 fiscal year on the strength of a 22 percent increase in the number of events it hosted and 19 percent higher parking receipts compared with the prior year, the Detroit Regional Convention Facility Authority reported. 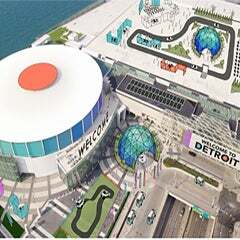 Cobo hosted 203 events in fiscal 2014, which ended Sept. 30, 37 more than the previous year. Revenue directly related to shows also increased by $9,194 per event. 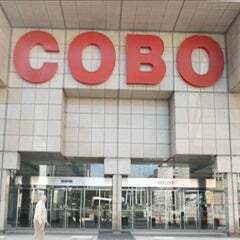 The DRCFA board also learned Thursday, Oct. 30, that its strategy of obtaining temporary financing for Cobo Center’s $279 million capital improvement program in 2011 and replacing that loan with bonds in 2014 had saved taxpayers more than $30 million. The alternative of obtaining permanent financing by selling bonds in 2011 would have cost that much more in interest, Bero and the DRCFA’s financial advisors told the board. The DRCFA issued $295 million in tax exempt and taxable bonds on Oct. 22. Demand for the bonds was high, as investors submitted bids in excess of $922 million. The bond sale closed Oct. 30. A month earlier, the DRCFA rejected an unsolicited bid from a single investor to buy all of the bonds at an interest rate of 3.99 percent. Rejecting that bid ended up saving Michigan taxpayers $2.8 million because the interest rate for the public sale was 3.875 percent. The bonds received a boost from being rated AA-/Stable by Standard & Poors and A+/Stable by Fitch ratings services. The ratings put the DRCFA bonds on par with the State Building Authority and represent a two-step improvement compared with the 2003 Series bonds that the DRCFA assumed from the city of Detroit in 2009. The DRCFA created a fund that already set aside all of the cash needed to pay off the 2003 bonds when they mature in 2015. Both rating agencies cited the strength of the underlying revenues that support the bonds, and the DRCFA’s 2014 fiscal year provided ample evidence of that. Operating revenue for 2014 was $8.5 million, which exceeded the budget by $1.4 million and was $3 million greater than the previous fiscal year. The $25 million in total revenue was $1.34 million greater than budgeted and represented a nearly $3 million improvement from fiscal 2013. Parking revenue of $4.1 million in 2014 exceeded the budget by $278,000 and was $600,000 better than the previous year. Total operating expenses for the year were $16 million, which was $150,000 higher than budgeted. That was a remarkable performance considering that utility expenses alone were $733,000 over budget. But lower-than-expected administrative expenses and efficiencies throughout operations offset most of the higher utility costs. Utilities were higher because of sharp increases in the rates charged for steam and electricity, the harsh winter, and the fact that a large portion of the building was under construction and exposed to the elements. Also, with the opening of the Atrium and Grand Riverview Ballroom in October 2013, there was more area to heat and cool, and more events means greater use of the facility. Earnings before interest, depreciation and amortization were $9.4 million for the 2014 fiscal year, $1.2 million over budget and a $3.3 million improvement from 2013. Free cash flow of $4.7 million for the year was $1.5 million greater than the budget and $1.3 million better than 2013. The improvement was notable because the operating subsidy that Cobo Center receives from the state was $1 million lower in 2014 than the previous year. The DRCFA also reported that its capital improvement program remained on budget, with 92.4 percent of the $279 million project completed through the end of the fiscal year. The project was 69.2 percent finished through Sept. 30, 2013.